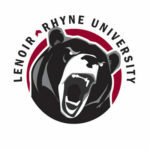 HICKORY – Anderson (S.C.) continued as a thorn in the side for Lenoir-Rhyne University in men’s basketball on Saturday. Anderson improved to 13-10 overall and 7-8 in the league and dropped the Bears to 16-6 overall and 9-5 in the league. Gage Ellis of Anderson rebounded an air-balled 3-point attempt and scored to put the Trojans up 71-68 with less than 12 seconds to play. After LRU’s Jon Jean hit two free throws, Anderson missed the front end of a 1-and-1 but the Bears couddn’t convert a sideline out of bounds as the Trojans prevailed. LRU shot a season-worst 36.5 percent and 19 percent on 3-pointers, while Anderson owned the paint by outscoring the Bears 36-22 there. Senior guard Djibril Diallo had 23 points to lead LRU, hitting all nine of his free throws. He added six rebounds, three assists and two steals before fouling out. Jean added 12 points and Cory Thomas scored 10 for LRU. Ellis had 14 points to lead the Trojans and Randall Shaw scored 12. The loss dropped the Bears into fourth place, a half-game in front of Wingate. LRU trails Queens, Lincoln Memorial and Catawba in the SAC standings. LRU’s next game is against Wingate on Wednesday at 8 p.m. in Hickory.